(CNN) -- The man who caused a mistrial in John Travolta's extortion trial is to appear before a judge next week, the prosecutor said Friday. 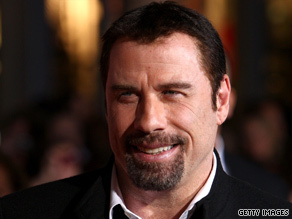 Two people were accused of attempting to extort millions from John Travolta after death of his son, Jett. A Bahamian judge wants Picewell Forbes to explain why he publicly announced a not guilty verdict in Travolta's trial before a jury announced its verdict. Forbes, who made the announcement at a political rally, could be held in contempt of court. On Wednesday, the judge called for a mistrial and ordered a new trial upon learning about Forbes' announcement. Jurors had been deliberating for eight hours when the judge dismissed them, concerned that someone on the jury might have had inappropriate communications outside of the jury room. "My client did not have direct or indirect communication with any members of the jury," Anthony McKinney, Forbes' attorney, told CNN. The attorney said Forbes heard from two women in the audience at the rally about an acquittal in the extortion trial. In the trial, paramedic Tarino Lightbourn and former Bahamian Sen. Pleasant Bridgewater were charged with trying to extort money from Travolta after his 16-year-old son, Jett, died from a seizure on January 2. The money allegedly was to be paid in return for not making public a document Travolta had signed, declining to have Jett transported to a nearby hospital. Travolta said he refused a demand for money. The actor, who is also a pilot, said he signed the document because he initially wanted to fly his son to a Florida hospital. Lightbourn and Bridgewater pleaded not guilty. Travolta's legal team said the actor was dismayed that the case ended in a mistrial.